Home » cbs , cbs sunday morning , neil gaiman , television » CBS SUNDAY MORNING this week to spotlight Neil Gaiman! CBS SUNDAY MORNING this week to spotlight Neil Gaiman! Neil Gaiman, in the opinion of a very many people, is one of the greatest and most masterful writers of our modern age. 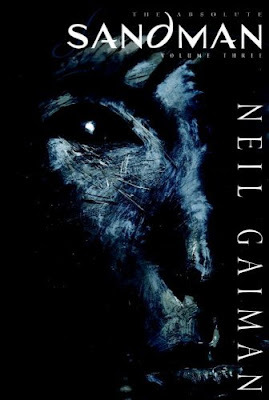 Lately I've found myself re-reading his classic Sandman series and found myself enjoying it just as much today as I did when I first discovered it years ago... if not more so. Looks like the CBS Sunday Morning profile of me goes out this Sunday. In the morning. Barring natural disasters or breaking news of course. Very cool! I'm a way longtime viewer of CBS Sunday Morning and have always enjoyed its stories and unique pace. Somehow, a feature on Neil Gaiman seems just perfect. CBS Sunday Morning comes on at 9 a.m. EST, but check yer local listings to be sure and set those DVRs!